Laughed out loud at the last cocktail party at the snarky coasters to set your drink upon? Make your own version with clever phrases and sayings using eco-friendly materials, a craft found on FaveCrafts. This website offers a bevy of green craft ideas to recycle and repurpose common materials found in the home. From 8 Ways to Craft with Plastic Trash to Turn Old Jeans Into Pot Holders – there is something fun AND functional for the entire family! 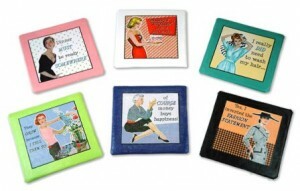 Check out FaveCrafts.com for more green craft ideas. Send a Well-Wish from Yogi Tea to a friend or loved one – think of the joy it will bring to their heart as they sip a favorite Yogi Tea and read your sweet sentiments. There is no time like the present! Click here to spread the love today! Thanks to Jessica Loves to Save Money for this great little find! Lately, “Mom” at Tiny Green Mom has had a craving for egg salad, and this recipe from OrganicAuthority.com really hit the spot! Not just your mom’s egg salad from when you were a child, this one features loads of extra nutritious goodies, such as shallots, cherry tomatoes, avocado and cabbage. Laura Klein from Organic Authority just knows how to make this recipe stand out! 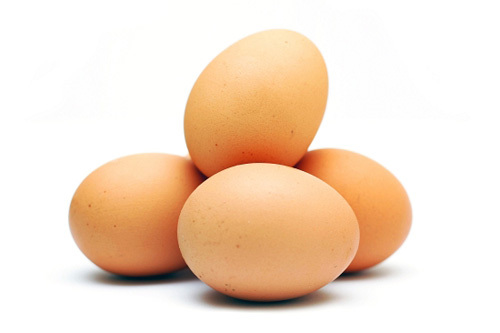 Combine eggs, mayonnaise, shallot and basil in a bowl and salt and pepper to taste. Add sliced tomatoes and stir to combine. Place 1/2 cup of cabbage in the center of two plates. Lay avocado slices across the top of the cabbage. Top with egg salad and serve. http://tinygreenmom.com/wp-content/uploads/2018/07/logo-sm.png 0 0 Tiny Green Mom http://tinygreenmom.com/wp-content/uploads/2018/07/logo-sm.png Tiny Green Mom2010-05-31 06:00:302010-06-01 12:08:46Recipe of the Day! 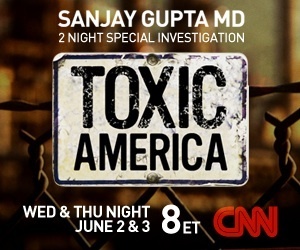 Join Sanjay Gupta MD for his premiere, “Toxic America” on June 2 & 3rd at 8pm ET on CNN! This 2 Night Special Investigation into the toxins we are exposed to each and every day – in the air, in common household products and in our homes. How can we minimize our exposure to potentially harmful chemicals? The 2nd night of this illuminating special, “Toxic Childhood” focuses on the hidden effects of toxins on our babies and children, as early as the womb! It can be overwhelming for parents trying to limit the exposure their families have to such chemicals through the products used daily in the home. Making educated choices is paramount but there is so much to know and understand! What are phthalates, why is Bisphenol-A considered dangerous, is painting a room with low VOC paint worth the extra expense…the questions go on and on. Making a conscious effort to “go green” is well worth it, but again, if babies are now entering the world with more than 200 dangerous chemicals already found in their blood, are we too late? Babies enter the world with more than 200 dangerous chemicals in their blood, including flame retardants, dioxins, substances in non-stick coatings like Teflon and hormone-like compounds found in plastic. Out of the 80,000 chemicals in use in the United States, the EPA has only tested about 200 and only banned five. Watch a clip of the “Toxic America” promo, “There’s No Place Like Home” here. 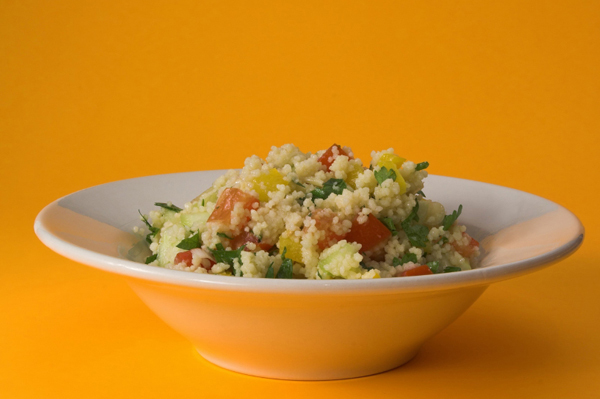 Couscous topped with 5 fresh, sautéed veggies – what more is there to say? Makes a great one-dish meal in minutes or serve as a side to dish to chicken, fish, just about anything! Thanks SheKnows.com! 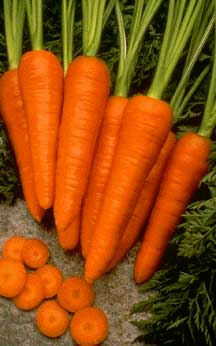 Combine vegetables in a large pan and sauté with two to three tablespoons of organic olive oil. Sauté until veggies are tender. Meanwhile prepare organic couscous according to directions on package. Put couscous in a serving dish and top with the vegetables. Earth Friendly Products 100% Organic Lavender Hand Soap is simply delightful! Let the soothing, relaxing scent of lavender fill the senses as you wash your hands. Aromatherapy at its’ finest – no need to light a candle or use essential oils! 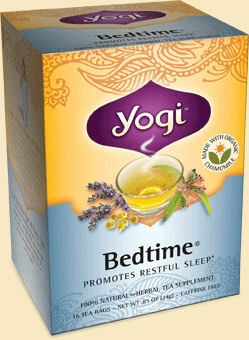 For busy moms, this scent is wonderfully calming in the midst of a challenging day. Earth Friendly Products is committed to offering a full line that is free of bleach, petrochemicals, phosphates, carcinogens and other harmful ingredients. Dedicated to creating affordable and organic products for the entire household, visit their for a full list of planet-friendly products, from dish soap and laundry detergent to bathroom cleaners and all-purpose cleaners online at www.ecos.com. Here’s a spread that cuts the fat and calories and packs in the flavor! Rather than reaching for that calorie-laden ranch dip, opt for this the next time you are seeking something to serve with your bell pepper and celery sticks for a unique appetizer. Thanks AllRecipes.com! Heat canola oil in a large saucepan over medium high heat. Cook carrots and onion, stirring occasionally, until carrots are tender and onions are translucent. Do not allow the onions to brown. Add water, and bring to a boil. Cover, and simmer for 15 minutes; set aside to cool. When mixture is cool enough to process safely, transfer to a blender or food processor. Add soy milk, miso paste, cashews, salt, maple syrup, and Chinese five-spice powder. Blend until smooth. Cover, and refrigerate until ready to use. http://tinygreenmom.com/wp-content/uploads/2018/07/logo-sm.png 0 0 Tiny Green Mom http://tinygreenmom.com/wp-content/uploads/2018/07/logo-sm.png Tiny Green Mom2010-05-29 10:00:112010-06-01 12:09:41Recipe of the Day! 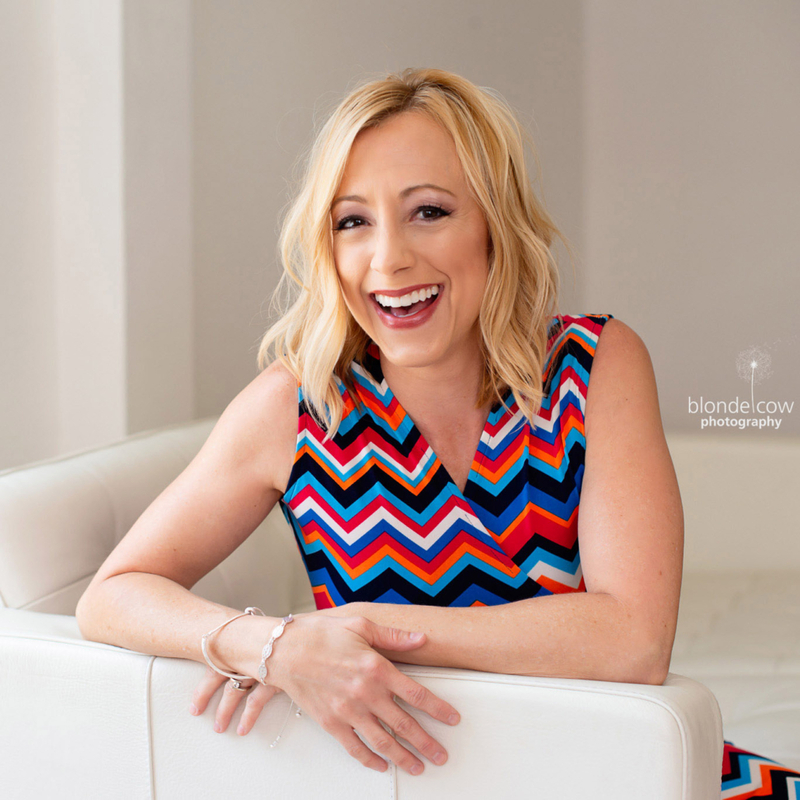 This is a guest post written by Lauren Dzuris. Lauren runs FindMyCarSeat.com, a website that helps soon-to-be parents find the right car seat for their child, while giving them tips and advice on everything from pregnancy to caring for your baby. From the minute we find out that we’re pregnant, we want to protect our little one and give them everything they need. Whether we’re eating a more balanced diet, we’ve quit drinking or we buy the safest products on the market for them, we’re making a difference. One item that you can’t go without and don’t want to be cheap with is a car seat. 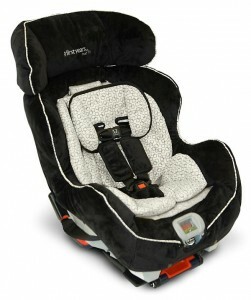 Car seats are what protects them in the car and keeps them safe from any possible accidents. If you’re looking at car seats for the first time, you will realize there are plenty of them to choose from. They have all sorts of brands, features, styles, etc, although, what matters most is how safe they are. To make sure you’re buying a car seat that you feel good about, you may want to consider a few of these tips! Safety ratings: To start, find a car seat that has great safety ratings. You will find that some seats meet U.S. safety standards while other even exceed them. So, go with what is safest and find a seat that will go above and beyond for your child. Features: There are certain features in car seats that really help keep your child safe. Things like a 5-point harness, side impact protection (which shields from vehicle intrusion and contains your little one’s head and body), and the LATCH system are important to have. Reviews: You will also find that reviews are extremely helpful. If you’re going to be paying a decent amount of money, and buy an item that is going to keep your child safe, you want something good. Anything with a 3.5 star rating or higher is very good. Anything less, you may have to question your purchase. Avoid used: You should never buy a car seat that is used. This is because you don’t know the history of it, if it’s been in an accident before or if it’s expired. Car seats expire over time and can be damaged if in an accident. It is always better to be safe than sorry! Requirements: Be sure to find a car seat that fits your child. You must find one that meets their weight, age and height requirements. If you go over or under, your child could be in danger. Finding a car seat isn’t always easy. It takes some patience, some researching and some advice from others sometimes. Just be sure to consider a few of these tips and you’ll be off to a great start! Thank you, Lauren! To learn more, please visit FindMyCarSeat.com. About a month ago, “Mom” at Tiny Green Mom was sent the True Fit™ Rebound Convertible Car Seat to review. Now, if this car seat isn’t the epitome of luxury and comfort for your little prince or princess, the BMW of car seats, if you will! It sits like a little throne, with plush detailing and soft suede pieces that wrap around the shoulder straps, right in the middle of the back seat. If baby’s head falls to the side when asleep, it will not hit plastic, as the True Fit Premier Rebound (model C670) has a luxe washable cover that baby’s head can rest gently against. Not just for comfort, this car seat offers superior safety to children as they grow from 5 lbs. – 65 lbs., and up to 50 inches, as they will be secured in a 5-point harness. It will be the only car seat that you need to purchase for your children as they develop and grow. The True Fit™ Rebound is a parent’s dream! Most importantly, the True Fit™ Rebound Convertible Car Seat was awarded the highest overall rating of 5-stars from the National Highway Transportation Safety Administration for Ease of Use. The Rebound Energy Management System, which helps to reduce the chance for broken bones in the legs, hips and waist that can occur in a violent car crash. The True Fit™ Rebound features a multi-position recline in both the rear and forward facing positions. The True Fit™ Rebound is the ONLY convertible car seat that offers multiple recline positions in a rear facing installation. For more information and additional research on the True Fit™ Rebound Convertible Car Seat, please visit their website. Looking for more safety tips when choosing a car seat that is right for your child? Please click here for a lengthy article written by Lauren Dzuris, of FindMyCarSeat.com. Reach for a handful of these heart-healthy almonds coated with coffee and rich cocoa powder the next time you have a sweet craving! Ummm…decadent! Thanks CDKitchen.com! In container of electric blender, combine all ingredients except egg white and almonds. Blend 30 seconds, pulsing on and off; set aside. In large bowl whisk egg white until opaque and frothy. 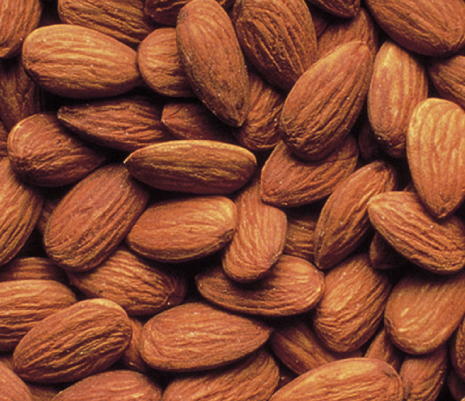 Add almonds; toss to coat. Add sugar mixture; toss gently to coat evenly. Oil, or coat a baking sheet with vegetable cooking spray. Arrange almonds on baking sheet in single layer. Bake in center of oven 15 minutes. Gently toss almonds and arrange again in single layer. Continue to bake 15 minutes longer; toss gently. Turn off oven. Leave almonds in oven with door ajar 15 minutes. Remove from oven; cool completely. Makes 2 cups. http://tinygreenmom.com/wp-content/uploads/2018/07/logo-sm.png 0 0 Tiny Green Mom http://tinygreenmom.com/wp-content/uploads/2018/07/logo-sm.png Tiny Green Mom2010-05-28 10:00:482010-06-01 12:10:02Recipe of the Day!